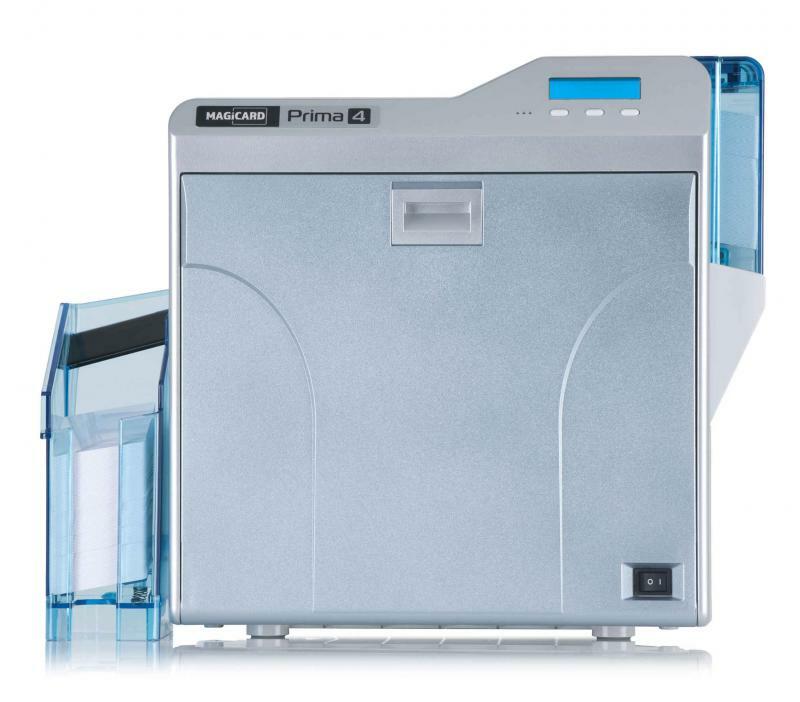 The Magicard Prima 4 secures card issuance with a combination of inline and post-printing options. Ultraviolet (UV) images or text, printed inline, can be augmented with overlaminates for added durability and security � including standard and customised holographic options. A logical printer lock is fitted as standard. Using a reverse-transfer printing process, images are first printed onto a thin film then heat transferred onto the card surface. This produces a high resolution glossy image, printed right over the edge of the card. 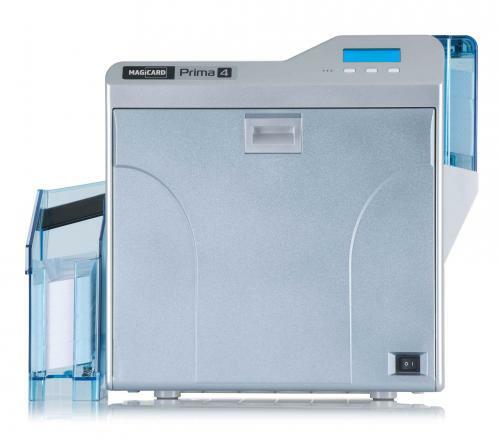 High reliability and a market-leading 3 year warranty help ensure the Magicard Prima 4 is trusted worldwide for high- level secure card issuance projects � including drivers� licenses, secure travel passes and localised issuance of payment cards. 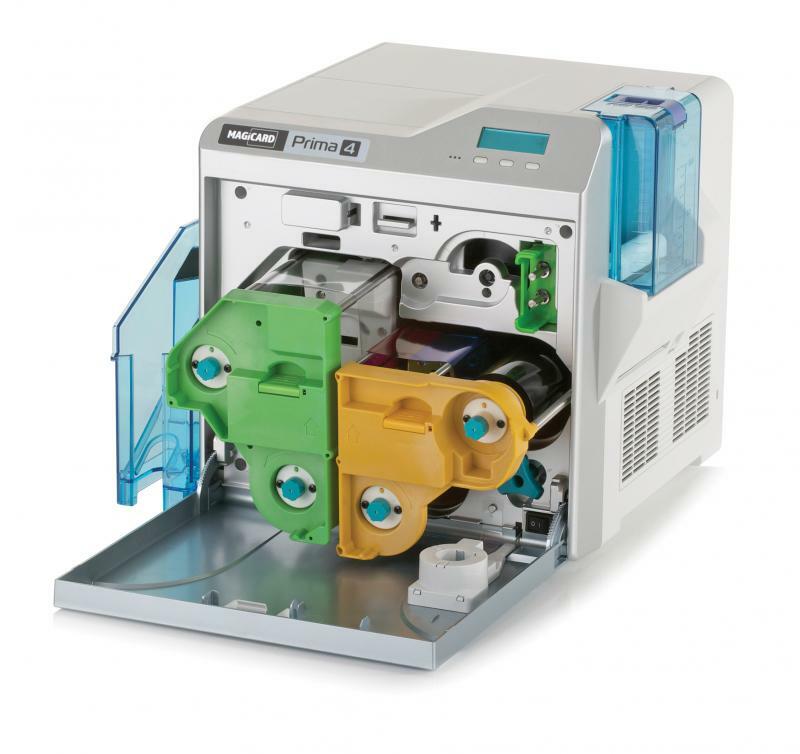 It is FIPS 201 compliant and on the GSA Approved Product List. Ease of integration is facilitated by both USB and Ethernet interfaces, with magnetic stripe and a range of smart card encoding options all supported. 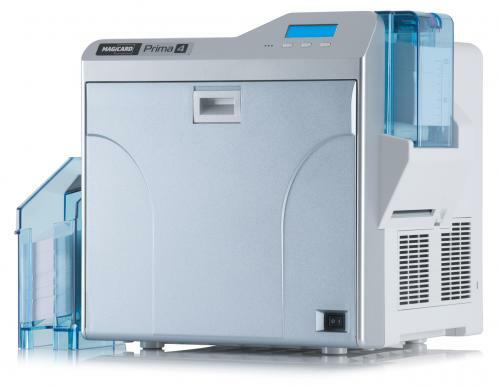 An inline laminator can easily be added with connectivity enabled via infrared (IR). Holographic laminates (requires lamination module) and UV film options. Magnetic stripe encoding: HiCo and LoCo encoder ISO 7811. Smart card encoding: Contact chip, MIFARE�, DESFire� and iClass�. Others available. 3 years UltraCoverPlus warranty and support which includes full printhead coverage and free loaner service � Available in North America, EU and other selected territories. Elsewhere 1 year minimum limited depot warranty. USB (Ver2.0) Full-Speed (12Mbps) and Hi-Speed (480Mbps) 10BASE-T/100BASE-TX Ethernet, both included as standard. Windows 2000 Professional (SP4), XP (SP2, SP3), Vista (SP1), Windows Server 2003 R2 SP2, Server 2008, 2012, Windows 7, Windows 8 (32 and 64 bit). 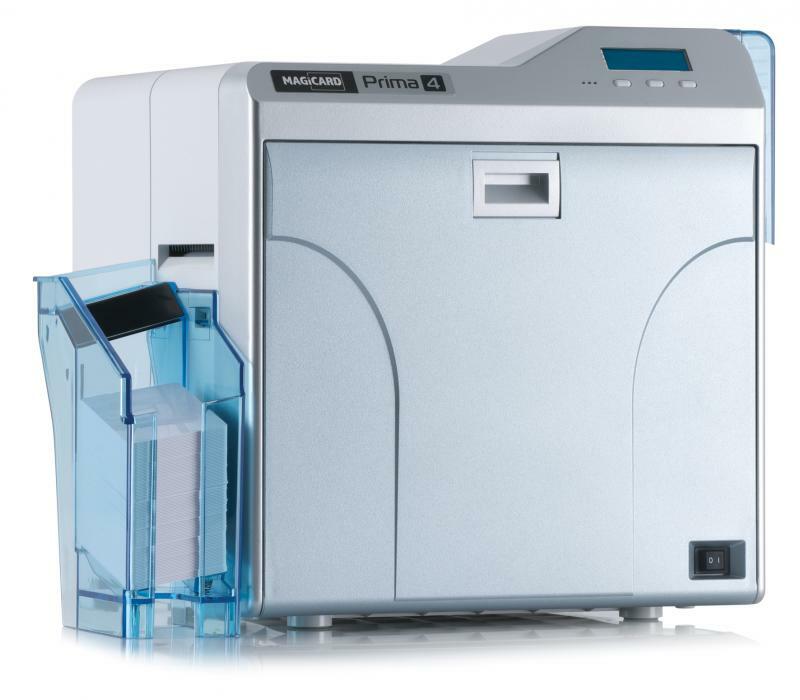 The Magicard-Prima 4 Uno Reverse Transfer Printer, Single-sided features a 3-year warranty.